Disclaimer: This post has been sponsored by Pfizer Consumer Healthcare. All thoughts and reviews are my own. Every year I try to get ahead of the cold and flu game. And every year I'm just a little bit more successful than the last. But this year had me like WOAH. I feel like the cold and flu season came at me early, hard and fast! We had barely made our flu shot appointments when my kids were waking up coughing, sneezing and sniffling. 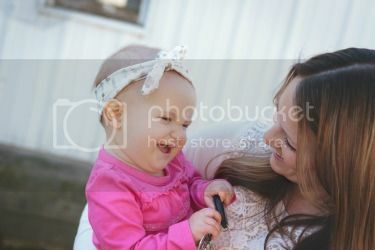 However, I feel like a veteran in this area of motherhood now. After my son spent the majority of his first year of life in and out of the doctor's office or sick at home, I can now confidently say that I have found a few tricks that I will consistently pull out of my hat at each sign of a cold or flu. Maybe it's the teacher in me, but I am constantly washing my hands - and making my kids wash theirs too. We have multiple bottles of hand sanitizer in our house and I also always have a small bottle in my purse or diaper bag for those occasions when we can't make it to some soap and water. Especially during cold and flu season I definitely feel like you can't wash your hands enough! This may seem like an obvious one but it sometimes seems to be the one I forget about the most! My kids will carry around water bottles filled with water when they are battling a cold. A little trick I use to get them to drink more water is to fill their bottles up with ice cubes and they will chug them down. Also, we will mark on the fridge with tally marks how many bottles they drink in a day and they love to challenge each other! As far as vitamin C goes, during cold and flu season I keep my fruit basket stocked with little clementines and oranges. My daughter will sometimes eat two or three a day which is fine by me! I also buy orange juice for breakfast for a morning boost. When I was at the grocery last I found little cartons of juice that all three kids loved and it was an easy way to get them to drink their juice! 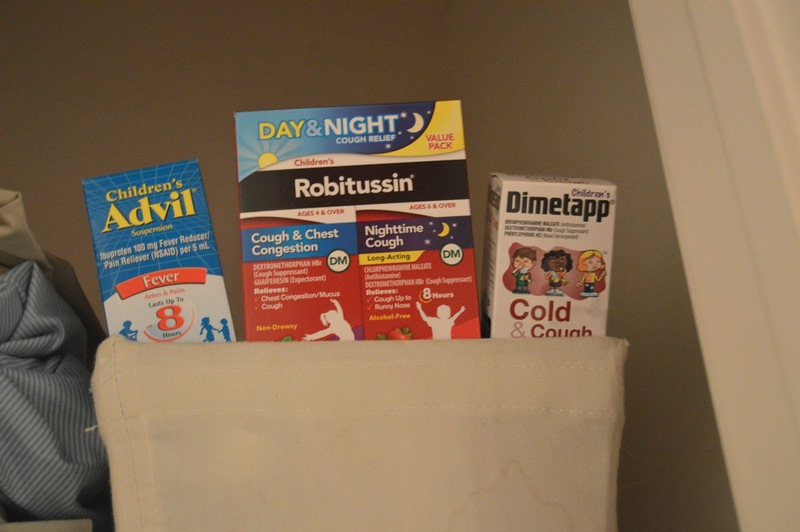 Since my kids are three different ages, it's important that I make sure that my medicine cabinet is stocked up with medicines for each child. 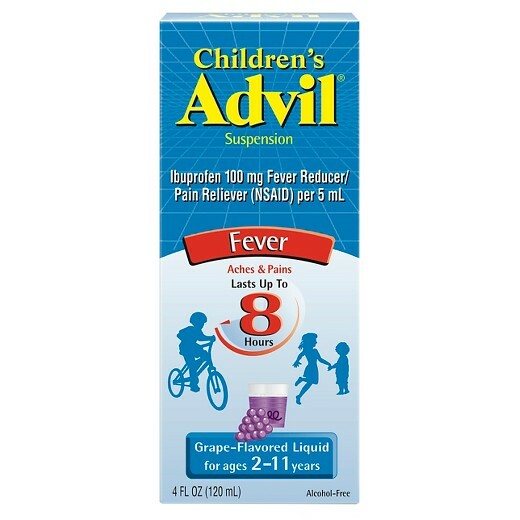 --Children’s Advil® Suspension is a must have for all three kiddos! This helps ease aches and pains like headaches and is appropriate for children ages 2 through 11. 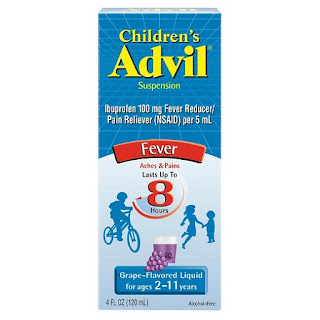 Children’s Advil® Suspension will also reduce fevers and is offered in several great flavors including Sugar-free Dye-free Berry, Bubble Gum, Grape, Blue Raspberry, Fruit and Dye-Free White Grape flavors. 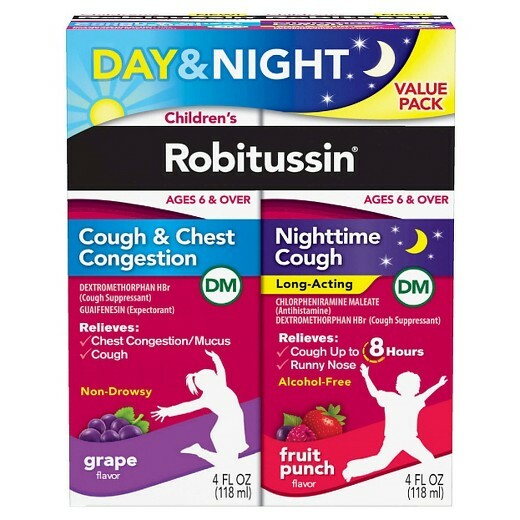 --Children's Robitussin® DM Day/Night Pack is my go to pack because of the two options that are suitable for Cohen and Lola. 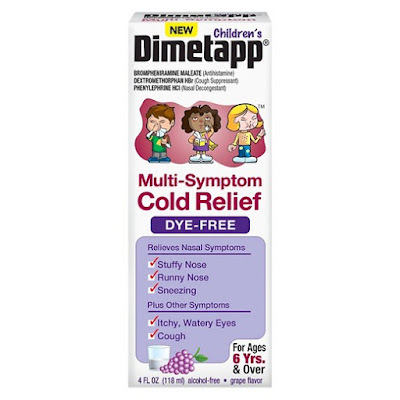 This pack includes Children’s Robitussin® Cough & Chest Congestion which is a great non-drowsy formula to break up chest congestion for kids 4 and older and is ideal for daytime. Children’s Robitussin® Nighttime Cough Long-Acting is great for Cohen (my 7 year old) because it offers nighttime relief of that cough and runny nose to help children sages 6 and older get a great night's rest. --Children’s Dimetapp® Cold & Cough comes in a tasty grape flavor for kids 6 years and older. This formula tackles that annoying stuffy and runny nose and also works to relieve that cough. I have a feeling that this year's cold and flu season will be no joke at all. I also have a feeling that many of you have been or are currently battling your own icky sicknesses with your littles too! Take my advice - being prepared now is half the battle! What are your tips to tackling cold and flu season? One lucky winner win a $25 virtual visa gift card and (1) Children's Advil® Suspension (various flavor), (1) Children’s Robitussin ® DM Day/Night Pack and (1) Children’s Dimetapp® Cold & Cough. Enter the Rafflecopter below!